In a few days, I plan to write about the ecological and socio-economic implications of the drought in Iran that has been mentioned as a factor in the recent protests. As I indicated in an article on Syria, the revolution that began in March 2011 was also driven by drought and government failure to adequately provide a sustainable environment for water usage. It dawned on me that an article I wrote for the online academic journal Class, Race and Corporate Power might help to shed additional light. It deals with the conflicts between Turkey, Iraq, and Syria over access to the waters of the Tigris and Euphrates rivers. As the twenty-first century stumbles forward, there is every possibility that the warnings about peak oil might have been overstated. The bourgeoisie is investing heavily in new alternative energy sources such as wind and solar, while at the same time relying on shale oil despite its harmful environmental impact. Whether this will allow capitalist production to move forward perpetually is open to question but it might, in the long run, be overshadowed by a much bigger challenge: peak water. Nations everywhere are contending with dwindling water sources that are necessary not only for capitalist production but biological reproduction as well. This is exacerbated by climate change that has produced drought conditions in much of the world, including California according to some scientists. But nowhere in the world has water become such a critical path for economic and biological sustainability than in the Middle East and North Africa, even to the point of helping to precipitate the civil war in Syria. 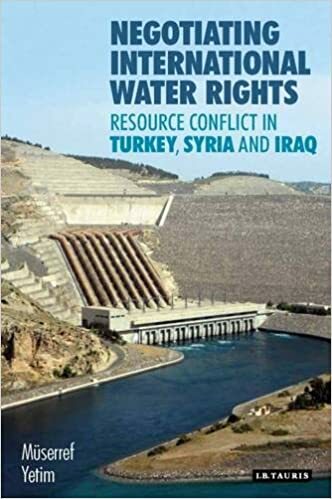 A recent and deeply informed book titled Negotiating International Water Rights: Resource Conflict in Turkey, Syria, and Iraq by NYU professor Müşerref Yetim examines tensions between the three states over access to the waters of the Euphrates and Tigris Rivers that flow across their borders from north to south. The study evaluates property rights as understood by contending political philosophies ranging from Hobbes to contemporary liberalism based on their applicability to a vexing problem, namely how a free-flowing resource like water can be shared equitably. The book concludes with a case study of the Euphrates-Tigris watercourse that does not leave room for optimism. Considering the intractable wars in the three countries, it would be almost Panglossian to think otherwise.